Grapefruits aren't only delicious but also beneficial. Studies showed that eating half a grapefruit about 30 minutes before having your breakfast or lunch on a daily basis may help you eat fewer calories yet feel full. This fruit contains an enzyme called activated protein kinase. It helps boost your metabolism as it produces processes such as glucose uptake. It also lowers insulin in the body slightly which prevents it from staring junks and sweets as fats. Added to that it helps you limit your appetite. This powerful yet delicious fruit is not only low in calories but is also a negative one which means it burns more calories than it contains. 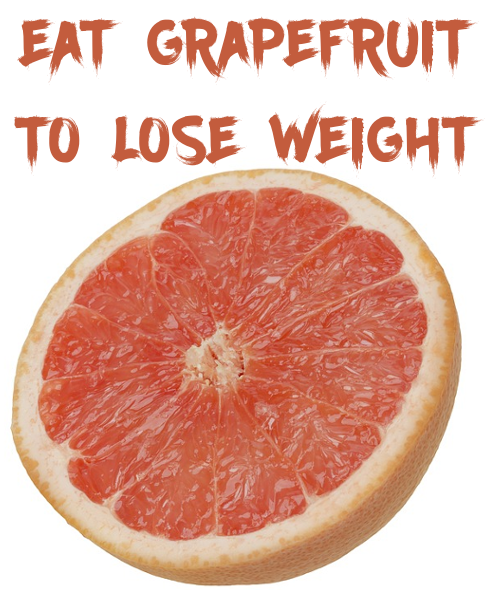 So don't hesitate for grapefruit diet but keep it balanced and don't forget to exercise.